House of Woyaks: Good Reads!! I finally finished The Third Testament! What a fabulous book!! 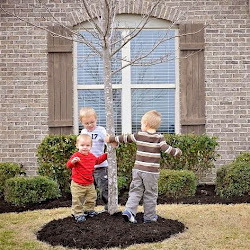 I found it through the first Pay It Forward I participated in - a pretty cool linky party where you get to share good news, great tips, or whatever you would like really. 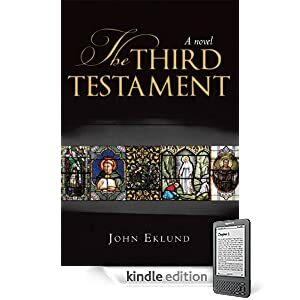 Anyway, on Holly's blog, I found a guest post on this book by the author himself, John Eklund, on Imprisoned in my Bones. It was an amazing book!! I was really amazed with how people were so strong in their faith in those days that miracles happened so commonly it seemed. I wondered half-way through the book why you never hear of people having visions and the strangest yet most amazing miracles occurring. We must not be as connected with God as we once were. Well, that is obvious... Look at the world around us. Just when I was wondering about all that while I was changing Alex, I thought to turn on the TV to check the weather before Mom and I head out on my birthday shopping extravaganza. I watch the Today Show ALL THE TIME. I never miss it. I have to wake up with these people. Crazy, I know. Anyway, I have never heard one word about the man in the Netherlands building a replica of Noah's Ark due to a bad dream about a terrible flood in his country. Really? I know, it is a long shot maybe...but it is a vision of some sort. It was pretty odd that it came on just as I was thinking about all that, too. And, yes! It is available for the Kindle!! I was pretty excited about that :) I love my Kindle. You should totally get one of those, too. My next read: Gods & Kings: Chronicles of the Kings #1 by Lynn Austin which is FREE right now for the Kindle :) Off to read! I'm glad to hear you liked the book. I haven't read it yet, but it's on my nightstand. I might have to move it up in the stack! Thanks for posting this great review! Our Version of "Jump Around"
Happy Birthday to My Amazing Husband!